Leading Manufacturer of hydraulic stacker from Chennai. We are a remarkable entity, engaged in offering high quality Hand Hydraulic Stacker (Wider Legs). 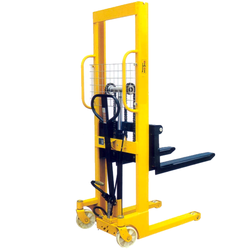 Looking for Hydraulic Stacker ?